For portraying in a delicate, sensitive and emotional way the power of first love. For giving through cinema powerful insight to an archaic world, where the survival of every being is valued. A poetic and masterly crafted film that reflects the age-old conflict between uniformity and freedom. The director was able to guide a diverse ensemble of characters building a truthful and realistic community. For dealing with a difficult topic in a brilliantly constructed manner. For bringing to life a delicate and identifiable character, which was powerful both in action and silent moments. For her impressive ability to bring across emotions of a character in crisis with excellent control and refined acting skills. The film gives in a cinematographic way, a universal story, where the young characters carry the hope of change. For dealing with a serious subject in a challenging and powerful cinematography. For a cheerful, delicate and colourful story with basic truths, that every audience can relate to. We, the members of the International Jury feel honoured to be invited to this bright and beautiful place, and to represent our countries at this Festival. We are amazed by the warmth and hospitality we have experienced in Pyrgos and we hope to visit again in the years to come. that is able to describe humanity’s deeper contents, its light and darkness. Thus it describes its concerns, expectations and its vision. In that sense, cinema for children and young people is all about the core of those things during their coming of age while instilling knowledge, morals and aesthetics. Olympia International Film Festival for Children and Young People with its cross-country, cross-Europe and international outreach and all that it has accomplished culturally during the 18 years of its existence, should be the pride for the city of Pyrgos and its creator, Dimitris Spyrou. We chose this film because it shows the budding friendship between the dog and the child, after he gave up videogames. The film moved us because it was a true story, showing that music can conquer hatred and hostility. Labyrinthus, Douglas Boswell, Belgium-Τhe Netherlands, 2014. We picked this film because it’s based on a very original topic that is video game addiction. All the actors were good and the production made the most of digital technology. The judicious selection of the films based on quality. Their varied origin from across the world. The variety of subjects and wide range of film-making approaches. The great turn-out at the screenings. gives local communities the opportunity to meet and communicate via images and sounds from different societies. encourages filmmakers from across the world. and, finally, consolidates the credibility, strengthens the international prestige, and contributes to the development of an important and effective cultural institution of Greek periphery. We picked this documentary because it was very accomplished and well-presented. It was based on interesting testimonies and archive material and was artistically well-rounded. When an unexpected opportunity arose, the director managed to make a very accomplished and decent film while having very limited means. The Hellenic Parliament Television is presenting for the first time at the International Olympia Film Festival for Children and Young People the «Human Rights Award» to a fiction feature film of the competition section which, exploring the inhumane conditions of neglect and commercialization in which abandoned children live in the streets and slums of Manila from a new perspective, give prominence to the values of friendship and solidarity. The Jury of the Greek Film Clubs’ Association would like to present “Enclave” by Goran Radovanovic with their Best Feature Film Award. The film presents the devastating consequences of war – and civil war in particular – in a society where different cultures used to coexist in peace, in a very insightful but also sensitive and realistic way. It also promotes an optimistic message of hope for reconciliation and peace through the narrative of the forced coming-of-age of its young protagonists. It is a fact that nowadays, information reaches all of us mainly via the internet but I believe that its essence reaches new levels and new depths when transmitted through some form of Art. And of course, the most direct form of Art is cinema. 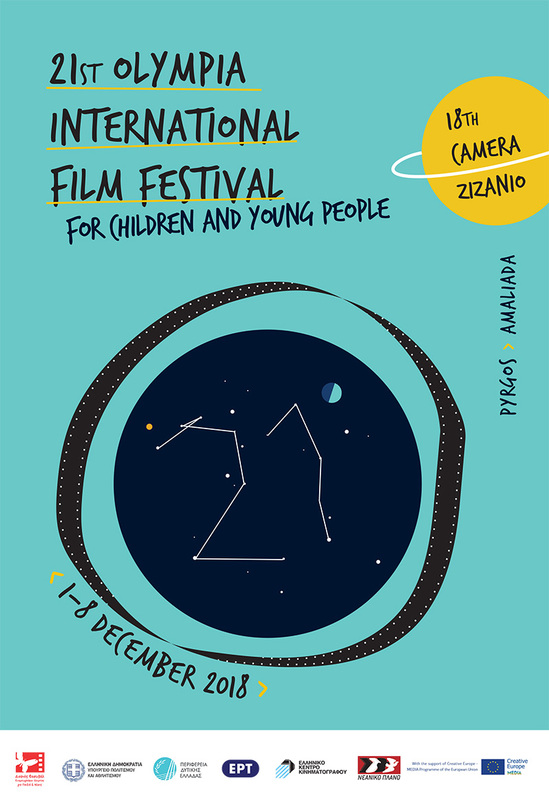 That’s why for quite some time now, the Hellenic National Committee for UNICEF supports and is supported in return by the International Olympia Film Festival for Children and Young People. The art of cinema, its people and all of us at UNICEF unite our voices demanding a more just and decent way of life for all children and young people. UNICEF keeps asking from adults to consider the fact that their actions have a direct impact on the present as well as the future of children and adolescents. The cores of UNICEF’s programs are health, education, family and the environment. And of course Peace which means respect for all people despite their nationality, religion or beliefs. Among other very interesting films, we picked one that took us only as far as our European neighbours, which is an important statement in itself nowadays. The Hellenic National Committee for UNICEF proudly presents the film “Enclave” with its award.